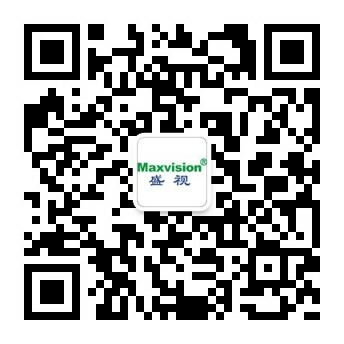 Maxvision smart technologies as a response to the orientation of smart cities - Corporate news - Maxvision Technology Corp.
With the progress of modernization, the building industry is intelligence oriented. In detail, more and more start systems are used in cities. In particular, the smart systems of public buildings have lots of smart things, making city management increasingly simpler and safer and providing a safe and reasonable environment for people to live in. Smart cities are a reform of cities. Smart cities are actually information systems having functions such as digital networked management, service and decision making for urban complicated systems related to traffic, security, geography, resources, ecology, environment, population, economy and society and achieving overall information processing and utilization for the infrastructures and life aspects through digital and computer related technologies and means. Therefore, it is necessary that urban systems are managed by platforms characterized by information integration and cooperative service. In a smart city, it is necessary to build a uniform platform, a urban data center, a communication network, an Internet and a Internet of Things and do hierarchical construction to make the platform and its applications extensible, thus forming a smart environment for urban development, establishing massive information and intelligent filtering and processing based new modes about life, industrial development, social management and so on and creating a future-oriented new smart city form. Maxvision has accumulated rich experience in its previous informatization projects. With time on, cities are presenting a stricter requirement for grand integration. In response to it, Maxvision has independently developed a new city management system with the following framework. The system is significant because it can maximize the efficiency, integrity and flexibility of systems and minimize the complexity of systems. Our independently developed smart city management system integrates related subsystems into a complete, stable and effective system by using optimal technologies and products in line with the demands in practical city management. By means of construction of infrastructure platforms such as a broadband multimedia information network and a geographic information system and integration of urban information resources, it provides necessary public services for provides citizens and efficient and competitive means for public administration (such as municipal monitoring, intelligent transportation, security protection, electronic medicine, digital tourism and city safety) for governments and enhances work efficiency for enterprises and competence for industries, making cities remain invincible in competition in the information era. Following its management philosophy “Make our current customers free from worries, our future customers feel relieved and our long-time customers feel at ease”, Maxvision has been making smart city management networked and intelligent and integrating more services and functions into smart city management systems through Internet based technologies such as cloud computing and storage and big data, ensuring better user experience and laying a solid foundation for the better growth of enterprises.